This morning I woke up to snow on the ground. Not just the “dusting” of snow or the “this will melt later” snow, but at least an inch of snow. I wanted to grumble and my kids were ecstatic. 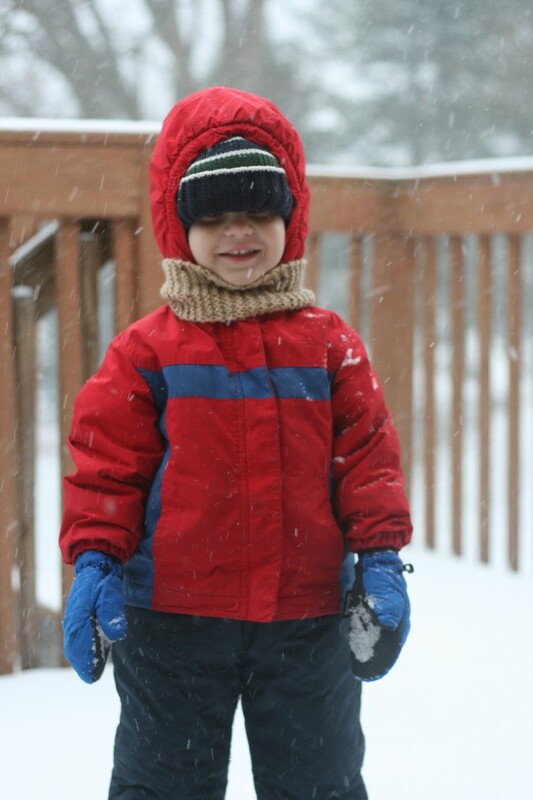 Max, my youngest son, was outside in all of his snow gear before 8:00 a.m. this morning. You would think I would be ready for the snow, it is after all late November in Wisconsin. No, of course I still had to go digging out the winter gear for him to put on. Even though he only stayed out for a few minutes, it was worth it to see the smile and excitement on his face this morning as he played in the first snowfall. 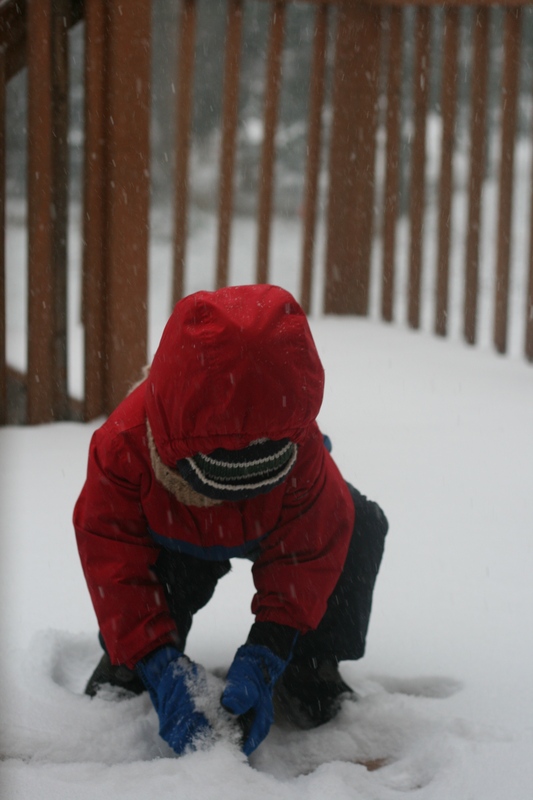 So despite the fact that I wanted to grumble about the snow, today I am thankful that my son was able to play in the first real snowfall of the season. This really is the season to be thankful! 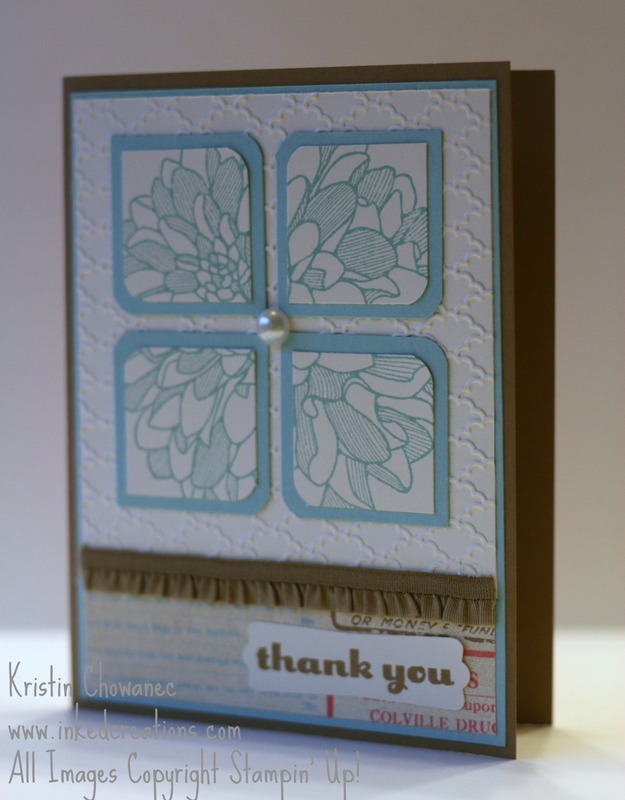 I encourage you to send a card to someone (or several people) who need your thanks. I know that I am not as good at doing this as I should be, but I also know what it feels like to receive that special piece of mail letting you know that you are remembered. I guarantee you will put a smile on someone’s face!